Cara is the Lead Preschool Teacher at Educare of Lincoln, where she works with a diverse group of children from at-risk or low socioeconomic-status families. "I have several students with (Individualized Education Programs), so the special education background I got from the Inclusive program has helped a lot! I also did one of my student teaching placements at Educare, so I was able to make connections that helped me get a job there." She was involved in Millard North Middle School’s wellness committee and sent out a weekly “Food Friday” e-mail to the staff with healthy recipes and cooking tips. She is a self-proclaimed “foodie” so I enjoy teaching food and nutrition classes. She thoroughlys enjoy the topics covered and conversations that take place in health class. 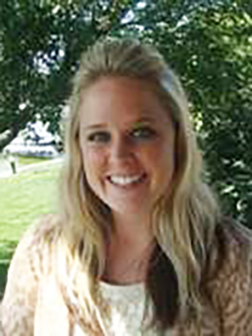 Elizabeth will be presenting on College and Career Readiness (CCR) during Milard West's Fall 2014 workshop days. Kara graduated in 2013 with a Bachelor's Degree in Family Science. 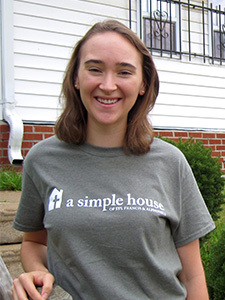 While she was coordinating Spring Break Mission Trips for the Newman Center, she came into contact with A Simple House through the Fellowship of Catholic University Students. Kara ended up leading the trip that went to A Simple House in Washington, D.C.
Kelsey Hannon participated in the student section of the American Association of Family & Consumer Sciences (AAFCS), attending the Regional Conference in Iowa in April and National Conference in Phoenix in 2011. 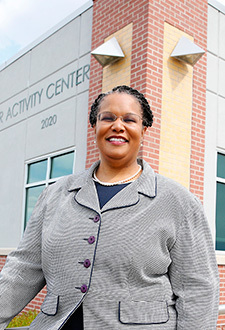 Dr. Hill is an assistant professor in the Department of Family Studies at the University of Nebraska at Kearney. She came to UNK four years ago after receiving her Ph.D. in Family Science at the University of Nebraska-Lincoln. Her expertise in child welfare and family issues includes 24 years of professional work experience in areas of social services and foster care case management and licensure, child protective services, kinship care and child welfare worker training. I love it here. It is a very small staff, who works hard to ensure it's students are loved and learning. We are a classical education school which means we focus on the beauty of our world around us through wonder, poetry, classical literature, and even Latin. My preschool kids are loving to learn Latin. 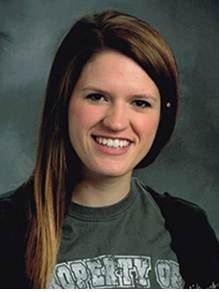 Brittany is a teacher and co-adviser Family, Career, and Community Leaders of America (FCCLA) chapter of Lincoln Southwest High School. 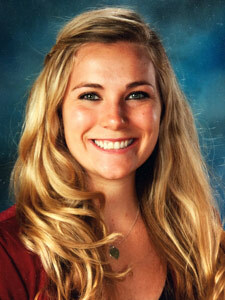 As a co-adviser, she takes students to conferences and helps coordinate the district conference. "One of the coolest parts about FCCLA is seeing how it can really bring out the best in our members. Even in my short time at Southwest, I have seen members’ self-esteem sky rocket when involved in FCCLA activities. I think that FCCLA really gives its members purpose and drive, and that’s such a fun thing to see as an advisor." Wenli and her team develop comprehensive sexuality education textbooks for primary school students, and more than 10 migrant children schools use the textbooks as teaching materials in sexuality education classes. More than 5000 migrant children and their families are benefit from the project work. "The training and education I received from UNL make me more confident and stronger to have dreams to realize my career aspirations." 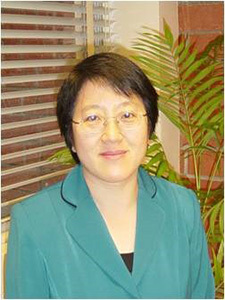 Wenli hopes to one day incorporate comprehensive sexuality education into the education curriculum in China nationally. I work primarily in our target schools: Lincoln Northeast, Lincoln High School and Lincoln North star. Our main focus is to get first generation low-income students to enter and graduate from a four-year college. We are not successful unless our students graduate from a four-year college institution! My job is awesome because I get to work with high school students and help guide them into becoming the best versions of themselves they can be! I am investing in future generations by motivating these students to impact the world in a great way! I get to mentor students individually and in larger groups. We are working on growing in character and as people. We are committed to reaching our local and global communities and taking care of those who need help! It is rewarding to get to see students come alongside our community and make a difference in a positive way! 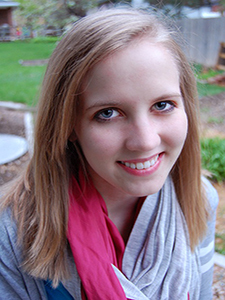 Katie created Bubbles & Blocks Child Development Center, which opened its doors in June of 2013. Bubbles & Blocks aims to help foster curiosity in children. They currently have around 100 children enrolled. Her favorite part of her job is working with the children and their parents. "I absolutely love seeing the kiddos and parents come in each day with a smile on their face because they are excited about being at Bubbles & Blocks and they trust the care and teaching our teachers are giving," says Katie. 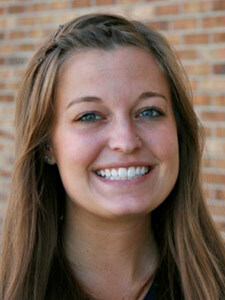 Paige is currently a teacher of Family and Consumer Sciences at Norfolk High School. 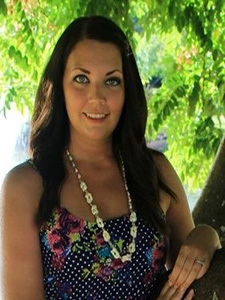 She teaches Child Development and Nutrition courses, and is also a cheerleading sponsor. 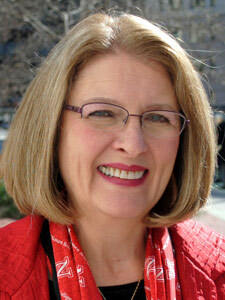 Jane Schuchardt is executive director, Extension Committee on Organization and Policy, the representative leadership and governing body of Cooperative Extension nationwide. Located at the Association of Public and Land-grant Universities in Washington, D.C., she works to build partnerships, acquire resources, increase strategic marketing and enhance leadership and professional development. 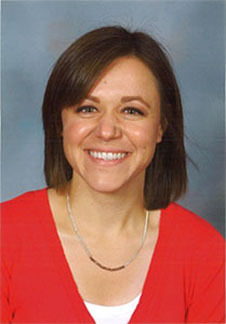 Mollie is focused on innovative teaching and learning techniques. 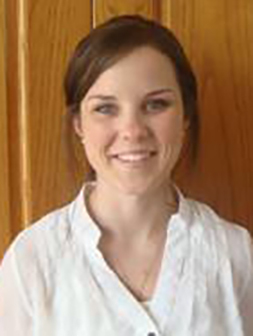 She wrote her master’s thesis on how outdoor environments affect attention and self-regulation behaviors in children with autism. 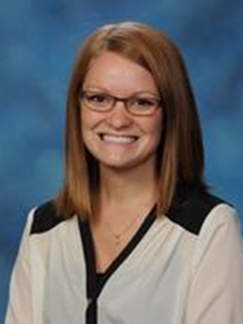 Mollie has experience teaching in a wide variety of classrooms including different age levels, culturally diverse, and varied learning abilities. 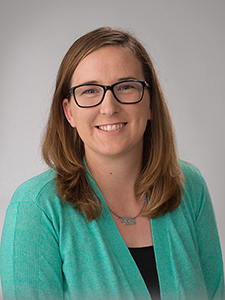 She holds a teaching certificate for early childhood special education in Nebraska and early childhood education in Kansas. Jordan was the Outstanding FCS Education major within the department of Child, Youth & Family Studies for 2011 and was very involved in campus life.